NIA CHARLESTOWN NEVIS (APRIL 22, 2015) Newly appointed General Manager of the Nevis Solid Waste Management Authority Andrew Hendrickson, during a recent interview with the Department of Information pledged his dedication, along with his management team, to provide a more efficient service for the enhancement and beautification of the island. “I think that we will be able provide a more efficient service to the betterment and beautification of Nevis,” he said. Hendrickson also announced the commencement of a beautification and clean-up project which would enhance the appearance the Long Point landfill. He appealed to the public for their assistance to do so. “We have embarked on a new initiative at the landfill and it is called the Landfill Beautification and Clean-up Programme. Essentially, we have employed two operatives who are responsible for the general maintenance of the grounds…Certain areas will be demarcated by flowers and hedges. “What that means is that we are endeavouring to make the land fill a friendlier place, a more pleasant place to be and friendlier in terms of the eco system. As a result, I’m appealing to the public. Those of you who have cuttings or slips of plants that would be resistant to stray animals, we would appreciate if you would make a donation or two and we would be happy to plant them,” he said. Hendrickson also used this opportunity draw attention to the issue of illegal dumping. He stated that the practice was an island wide problem, in which persons try to discard larger items such as refrigerators and washing machines in areas other than the legal landfills. He also said that the Nevis Solid Waste Management Authority would be working hard to enforce the laws as they pertain to illegal dumping. 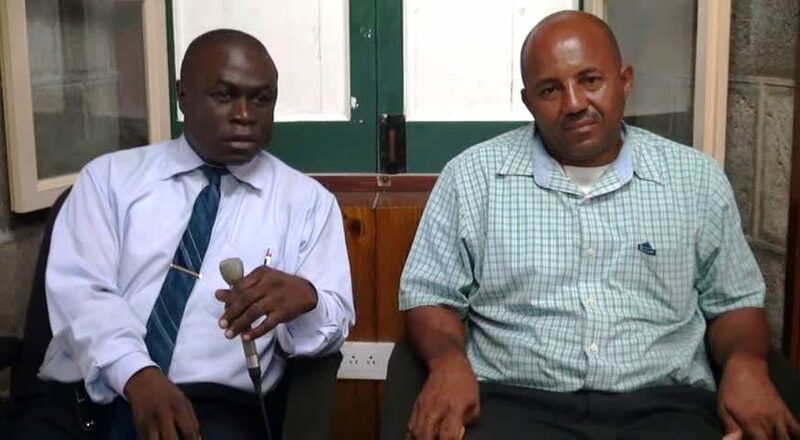 Hendrickson was accompanied by the Authority’s newly appointed Operations Manager Dennis “Rudy” Browne, who is responsible for the day-to-day operations at the land fill.